this was a b-day cake for my son, who just turned 3. 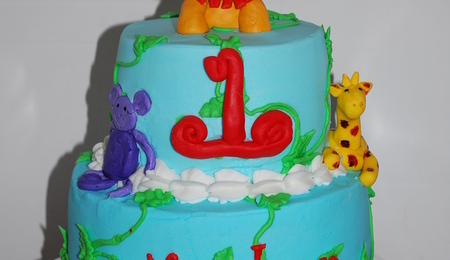 The theme of the party was jungle animals, so I made some animals and the leaves from fondant - everything else was buttercream -it was a ton of fun to make - lots of learning too! Thanks for looking!